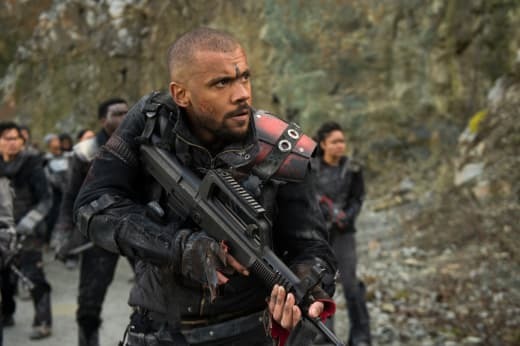 We left off The 100 Season 5 Episode 12 with McCreary as dangerous as ever and Madi embracing her status as Commander to save the day when all hope was lost. That doesn't mean the war is over though, with Kane and Charmaine's betrayal still setting up for a divide that will have to be dealt with at some point. Meanwhile, all the stray arcs were neatly wrapped up in a bow just in time for the finale to refocus on what we all can assume is the next big reboot of the show. 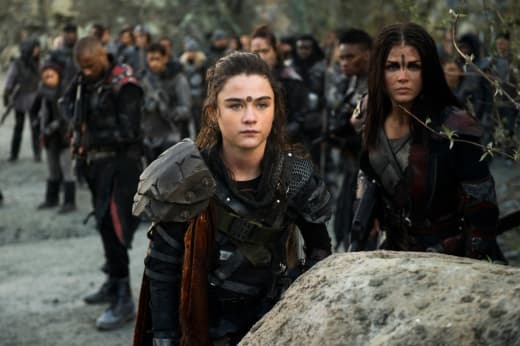 Abby's addiction has been wrapped up, Octavia's dark side has been contained with an almost self-sacrifice, and Clarke has somehow dealt with all her troubling maternal instincts so that Madi could go forth and lead. That now has everyone more or less on the same side, with McCreary the real bomb that could blow at any second. For a show with so many dangerous situations, this may be the villain that unleashes actual hell on Earth. But that is fine; it is all fine. This whole season has been leading up to the end, and in a way to the next beginning. But before there could be any hope for the next survival or even the introduction to the next significant weight on our heroes' shoulders, first there must be utter chaos that feels absolutely heartbreaking and with no solution in sight. That is the way that The 100 works and this season can't be any different, in fact, it could be elevated even more because of the promise of destruction that is coming. Praimfaya seems like nothing when the thought of no Earth at all is floating around, or specifically no place on Earth to survive right now. Shallow Valley was the last strip of land that could allow people to survive until the rest of the Earth had enough time to come back from the literal end. And it is no coincidence that it has been repeated over and over again about how much hope this place has. The longer tension escalates, the more of a guarantee there is that no one will get that land. 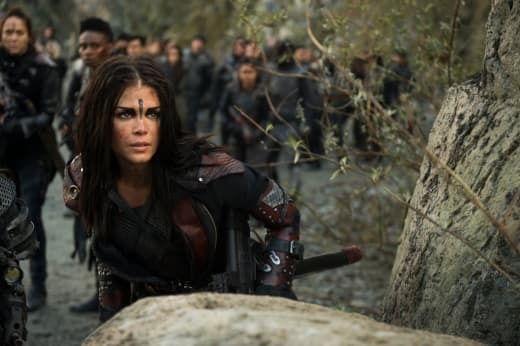 As Octavia mentioned in a promo for this season, "Eden never stood a chance." The end truly is here, and it is traumatic to consider how much everyone had to go through in the hopes of finally coming together again and just living with nothing to worry about any longer. It sounds silly and yet after such a dark season, having a light at the end of the tunnel is the only thing that can revive the darkness that has surrounded the characters. Now The 100 Season 5 Episode 13 is using the title "Damocles - Part Two," and it is the second half of the fifth season finale. It is when everything that this season created will be destroyed, all to make way for the next big arc for this show. The end of the world was only a season ago, and yet there is no doubt in anyone's mind that that was nothing compared to what is headed everyone's way now. Suffice to say, this episode has a lot of expectations, not only because of how it needs to mend the way relationships have been disconnected this season but also it has to create the next big shift. 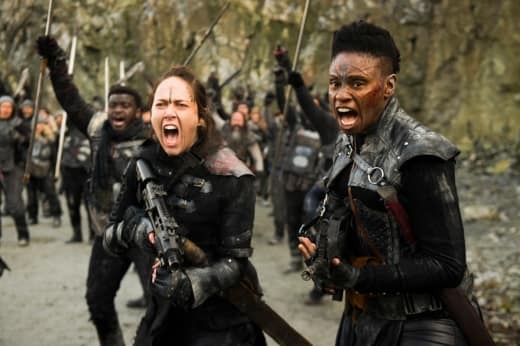 It is no secret that the back half of The 100 Season 5 suffered tremendously because of a stagnant plot that reversed itself by the end and yet ruined a lot on its way there. There were no good guys, but there also just weren't many heroes to root for in general. 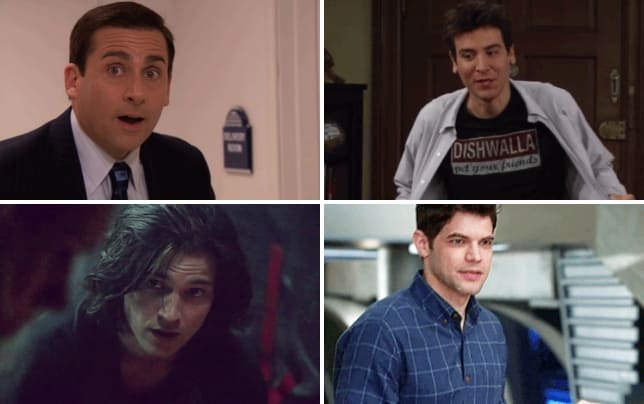 Relationships of all different sorts were removed from the narrative, and it was hard to recognize many of the characters we have come to love. And yet there is something about a chaotic conclusion that leaves room for the promise and hope moving forward. The synopsis for this specific episode is, "In part two of the fifth season finale, Clarke and her friends must risk everything to fight one last battle for survival, only to glimpse an even darker threat to the last living valley on earth." This preview may contain some light teases about the thirteenth episode, with a specific focus on characters and scenes that have been discussed before or have been included in promotional videos and/or photos. Before anything can restart, stray arcs need to be cut loose or finished in a way that concludes what the season spent building up. Essentially, the war that was promised may have been stalled, but Madi is in charge now so significant movement will happen on that front. There is a plan in place about trying to take down McCreary, and it looks like the use of their army will still be necessary. Is there really no other way to go about it than to corner McCreary and the others on that ship? Numbers are dwindling, but there is also that small thing with McCreary and the prisoners no longer having illness slowing them down. Which means the real surprise is what they will get up to now that they are at their full strength and have a guidebook written by the intelligent Charmaine. There is also the small fact that something explodes in the trailer for this episode, but more on that later. The main point here is that Madi is finally channeling the flame to help people instead of sitting on the sidelines. And while it is great that she is finally the leader that she was itching to be, there is still the small issue of how much longer this plot can last. Six years after a literal apocalypse, there isn't much room for leadership to still be based on the color of someone's blood. That is why, much like with this season coming to a close, so should the flame. Madi in the first half of the season was more than enough of an engaging and enjoyable character. She worked because of the relationship she had with Clarke and the fresh perspective she was bestowing to her every scene. That really didn't have to change, and yet it did so that she could be front and center on that battlefield. It just feels like if there is going to be an ascension, this has to be the final one and then this mythology needs to be put back on the shelf. Once again circling back to the likely theory that Earth will no longer be home for everyone, this means that leadership will be even more distant from this arbitrary ideal of blood determining who is responsible for keeping people safe. There is an even more significant chance to leave behind outdated arcs in favor of a fresh start that takes what worked and keeps only that, which in this case is the characters themselves. Madi is a lovely addition to the group and moving forward she could work as merely that. She does what has to be done on the ground as the Commander, and then she makes the conscious decision to somehow break away from this tradition that is so outdated it is ridiculous sometimes. It doesn't fit in the context of the story as a whole anymore, and Madi shouldn't be sacrificed for that purpose this season. In other words, I refuse to acknowledge that Madi could die because she can't and she won't. As for Octavia, she conveniently seems to be okay with Madi leading now and is helping more than harming. Her role moving forward is a bit more confusing, because if she strips away her Blodreina status then where does she go from here? Is her idea of Wonkru no more or will she be one of many? Or will this go in a completely different direction and all these groups of people will just become one now that there is no ground or space faction? There is just something about this new planet theory that rings true, and that sets up for truly no more groups based on location because there is no Earth on which to base that location. Everyone is coming from space to dock wherever they may end up, so from here on out everyone is just a survivor looking to make it work. But focusing more on present-day issues, The 100 Season 5 Episode 12 proved that war means death and casualties. With it not being over just yet, there are still some people whose lives might be at stake. Kane is a big one, with Abby carting him out in the open to possibly true to heal him while all hell breaks loose. There is just that one small issue of there not being any resources left to help with wounds, something that Miller seems to take to mean that his body alone heals him? How is he possibly ready for war so quickly? Gaia is in the same position now, with Bellamy's inspirational speech helping her cling on but for how long? In a perfect world, survival will come easy in a finale like this when just the planet these people are on is in danger. Speaking of utter chaos, has anyone else picked up on that missile flying down to Earth with the word Damocles written on it? Well yeah, that looks like it is just a small firework that won't blow up anything. Not. There can't be any question that McCreary sets off this thing from their ship, right? It appears from space, and this is where exact placement of everything comes into place. The transport ship is mentioned when Clarke mentions not allowing it to take off, but somehow this explosive has to come down. That means McCreary finds someone that knows the system to reach out to their ship that is still in space. Very likely this will be Raven and not Zeke who have no other choice but to assist the destruction of Eden. Because while characters like Octavia and Charmaine threaten, when it comes down to it they don't want to cause anything this horrible. McCreary is a manifestation of a person who is just evil; there is no hidden reason why he is like he is and there is no vulnerability to play into with him. He wants that land, and he will be the downfall of humanity in his attempts to get it. Which sounds like exactly what happens, McCreary gets his full strength back and destroys Eden in an attempt to claim it above all else. With everyone working against him he has to pull out the big guns. That becomes a possible end of the world because there will be absolutely no room for anyone to live. The bunker is gone, and if Eden is wiped out too, then that transport ship will have to be their last resort to get to space and figure out where to go from there. Now, without going into too much detail about possible leak discussions, it also seems like that once they figure out how to make sure all their people make it up there the question then becomes what now? They can't all stay on that ship because there aren't any resources. That is where cryo comes in, with all of the people that survive to have to go to sleep in those things for years to not think about how they will eat and have access to water and all the essential portions of that. And while they sleep, someone will have to figure out what comes next once everyone wakes up. Someone needs to find a plan, which will have to be Eligius III based because those clues weren't always that subtle. Monty and Harper are the logical choices, with Monty almost the embodiment of hope in a way that no one else was the entire time. Through it all, Monty just wanted peace and the life that he had in space those last six years was everything he could have ever dreamed. It would be fitting to give him that happy ending with Harper, where they live in simple circumstances with their algae and have a purpose which is figuring out how their friends will survive when they wake up. It means saying goodbye to these characters because they will sacrifice living with their friends to live out their lives on that ship. And while it is easy to think that they deserved better, in a way if this happens, they got exactly what they deserved, and no one else did. Monty and Harper got to live how they wanted, being happy in that life. 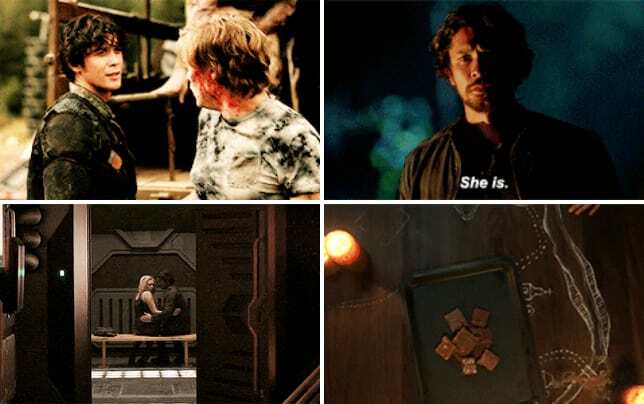 And along the way, there has to be someone to share the message of whatever Monty and Harper found that would help Bellamy and Clarke and the others figure out a plan from there. It somehow feels appropriate to dedicate a section to Shannon Kook's mysterious character that is on his way to steal all of our hearts. In many different theories, Lucas was a grandfather but also a son but also a space hero. There are many hats this character has managed to wear, and he hasn't even been introduced yet. There is no guarantee that his name is even Lucas, it could have been changed after casting was announced for him. And yet, the one thing that goes unchanged is the value that this character already has. He will have a bigger role to play in The 100 Season 6, but Lucas should be discussed while everyone is anticipating his introduction. There is a possibility that Lucas will interact with at least Bellamy so far this season if the behind the scenes photos from the set are any indication. That's great news, if only because Bellamy befriends almost everyone he meets, and there is an excitement about how much Lucas will steal any of his scenes. He is also the key to Season 6 in terms of the new environment in which every character will find themselves, and Lucas will help the audience adjust as well. This speculation may, of course, be wrong, but a character like Lucas can't just be one of the characters on Earth right now and not matter until a possible reboot in the series. That means he comes from a different direction, whether it's something that hasn't been introduced yet or a connection to a plot like Eligius III that we have been hit over the head with multiple, multiple times. The obvious choice though is that he is Monty and Harper's son. There are questions and concerns that come with that suggestion, but isn't it also extremely fitting? Obviously, though, Lucas is going to steal hearts and scenes going forward on the show, so the countdown needs to begin immediately. There is something about the way that The 100 crafts characters that make the audience root for them even when the only thing that was announced was the casting. Similiar to Not-Zeke, Lucas is already a dynamic character from the way the mystery surrounding him and the potential that he has if he truly is going to help our familiar heroes. It doesn't mean Lucas couldn't be a great villain, but there is just something that rings promising about him in a way where we will get to see him side with our favorites instead of fighting them. Basically, prepare to root for and hope for more scenes from Lucas and keep an eye out for his mysterious entrance. We have waited long enough, and he is finally here. This is the obligatory request for more Pilot Mechanic because they smushed faces and now must do that in every episode. They need to survive together and then find endless happiness. The trust that they have in one another is one of the greatest things that came out of this season. The Charmaine and McCreary aspect is weird in that there are no signs where their faiths might land. McCreary is the one more likely to be killed off, but Charmaine can't leave. They've circled back on the issue with her pregnancy with cryo being an option that will still have her pregnant whenever they wake up again. No more end of the season separations, not after all the different scenarios that played out this season and all the different character's separating from who they were this time around. 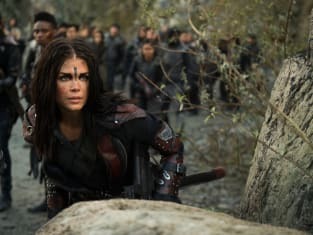 The 100 Season 5 Death Watch has never been more real. Constant vigilance, even though there seems to be this feeling like death will be minimal. There was talk of one couple getting their happily ever after this season, which has to mean one pair won't be joining the others in the upcoming journey whether it is space travel or cryo or merely leaving Earth behind. But there is still the worry about fatal injuries and outside issues forcing characters to be sacrificed, with Gaia the primary example of that. If you do not like spoilers, look away. If you are not a fan of full-blown spoilers about an upcoming scene that was leaked by accident, then please stop reading this very second. 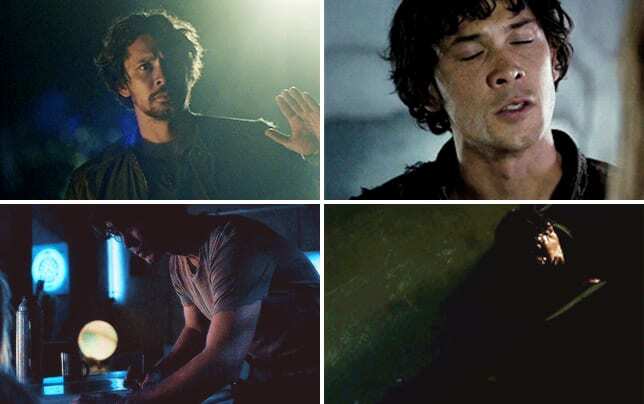 Now that that is out of the way, Bellamy and Clarke finding comfort in one another while they watch destruction in front of their own eyes are not at all the parallel I've been dreaming of. Except that it is and now it is coming true, with a scene that might become the best they have shared because it is the core of who they are. 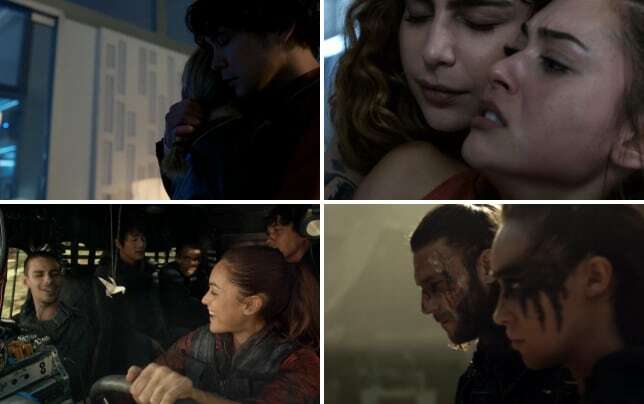 The way they handle all of the darkness around them by being one another's lifeline is why The 100 works the way that it does; it is all about them counting on one another endlessly. 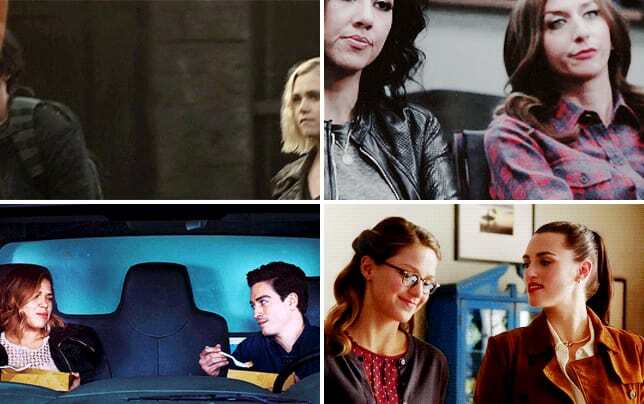 In the words of the lovely Eliza Taylor, "They need each other so desperately, but they don't know what it means." Don't forget The 100 now airs at 8/7c on Tuesdays only on The CW.